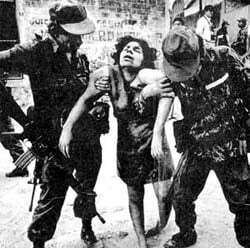 In recent developments the Chilcot Report has revealed the role of Latin-american style death squads in Iraq. As government forces continue to confront the self-proclaimed “Free Syrian Army” (FSA), the historical roots of the West’s covert war on Syria –which has resulted in countless atrocities– must be fully revealed. The formation of death squads in Syria builds upon the history and experience of US sponsored terror brigades in Iraq, under the Pentagon’s “counterinsurgency” program…..
(Natural News) There’s a new government web portal where Americans can file official complaints against medical practices and other service providers for violating conscience and religious freedom laws as they pertain to “mandatory” vaccinations.